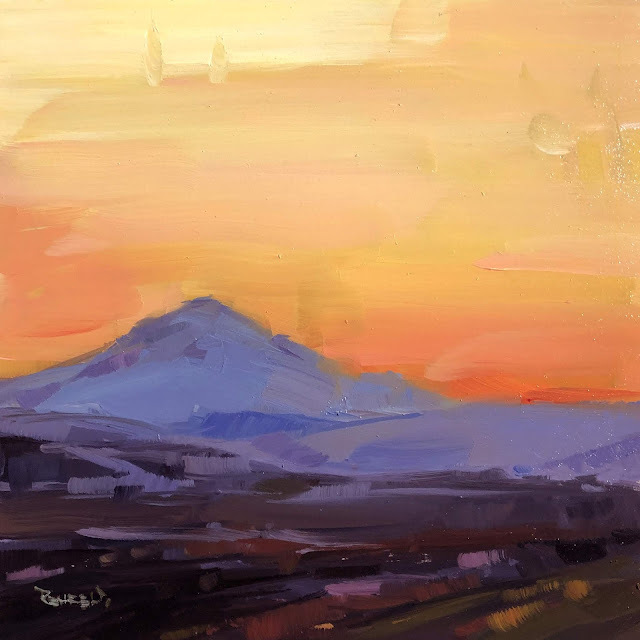 Cathleen Rehfeld: #1179 ”East of Mt Hood"
#1179 ”East of Mt Hood"
Click this link to view #1179 ”East of Mt Hood" oil painting on Daily Paintworks Website, and to see all of my paintings. Each original oil painting is made to archival standards using only the best, most permanent and lightfast oil colors on cotton or linen canvas or panels. Drying time varies but you can expect your painting to be shipped in one to two weeks after it is completed. Your purchase will arrive unframed and ready to display.